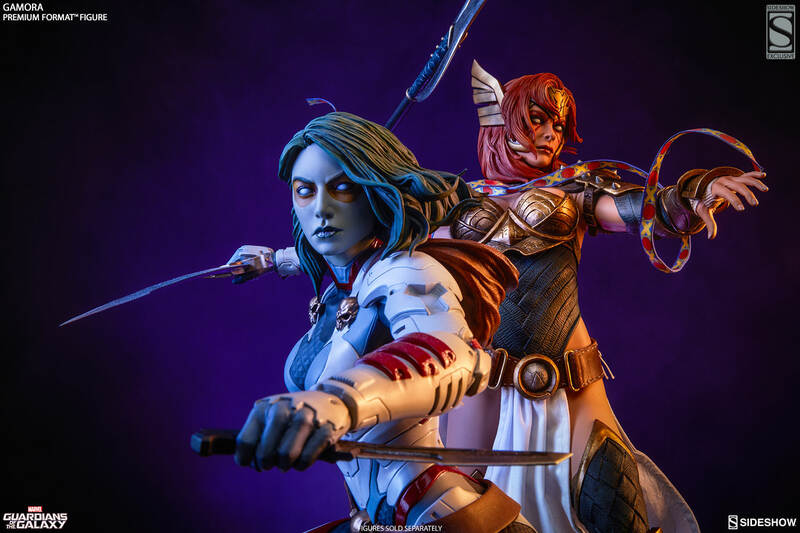 Yesterday, some photos surfaced of a new Premium Format Figure coming from Sideshow Collectibles. 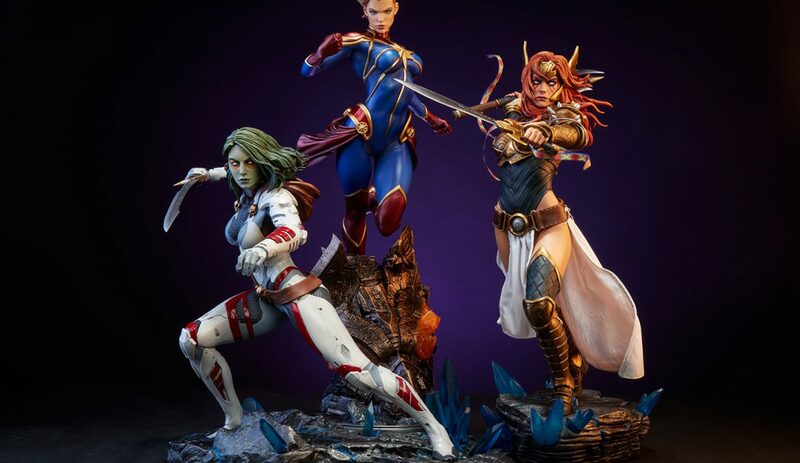 The photos show an attractive woman posing together with the upcoming Gamora and Captain Marvel Premium Formats. Fans were quick to determine that this character is in fact Angela. She is a quite interesting character. Not only has a fictional persona, but also because of her transition from the Spawn comics to the Marvel universe. If you would like to learn more about her, read the quote below, or visit her Wiki-page (links provided). In short, she is the daughter of Odin, and obviously Loki and Thor are her brothers. She is a warrior angel. Originally, though, when she was not yet part of Marvel, she was an angelic bounty hunter and a supporting antagonist of the Spawn comics. She was originally created by author Neil Gaiman and artist Todd McFarlane. 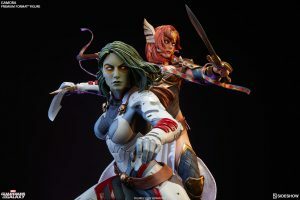 Sideshow hasn’t actually revealed this piece in any official manner. What happened was that the photos you see in this post were uploaded to the existing gallery for the Gamora Premium Format. 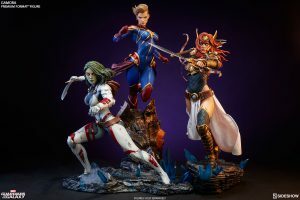 So, basically, four new photos appeared out of nowhere on the product page for the Gamora Premium Format. The interesting part is that shortly after these photos were found and shared via social media, the photos were actually taken down by Sideshow. One might assume that they weren’t yet quite ready to announce this piece? So maybe the photos were added to the gallery by accident? 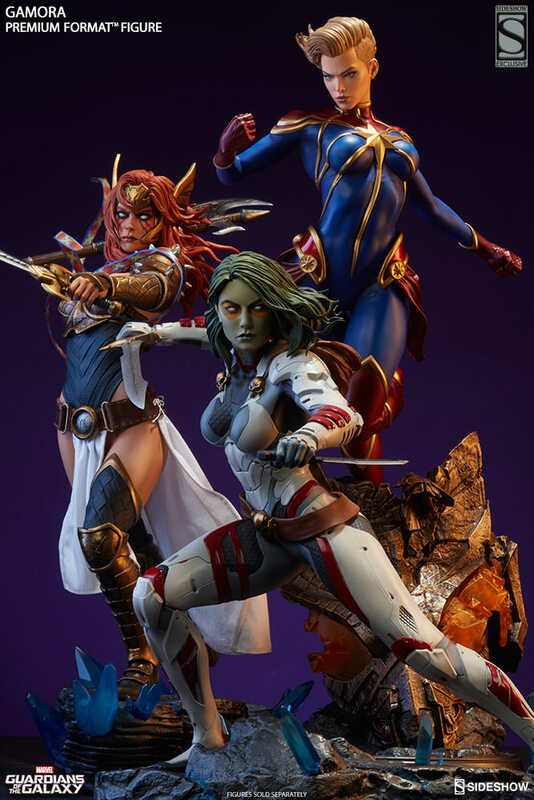 We’ll never really know, but I reckon it will only be a question of a few days before we get an official announcement from Sideshow regarding this piece. So far, however, the response has been one of huge excitement. Despite that this character seems to be a lesser known one, she obviously commands a relatively large fan base. 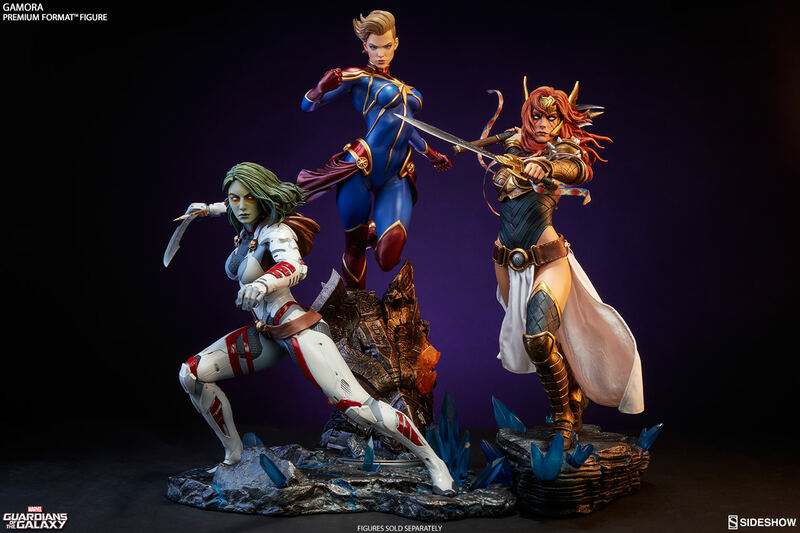 I think everyone is really excited about this statue and I, for one, am very much looking forward to the official announcement, and hopefully more photos that will be released of this statue. I suppose we will also see the first real glimpse of her at this year’s SDCC. Angela is a fictional comic book superhero created by author Neil Gaiman and artist Todd McFarlane. She first appeared as a supporting antagonist in McFarlane’s creator-owned series Spawn, making her debut in issue #9 in March 1993, and later starring in her own self-titled miniseries. 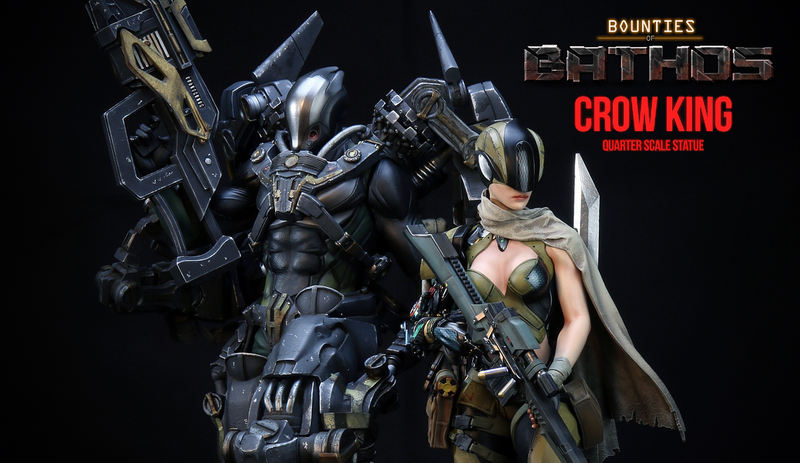 She is an angel and a bounty hunter, working under the auspices of Heaven to oppose Spawn. Angela was later the subject of a legal battle between McFarlane and Gaiman over the rights to the character, which Gaiman won. Gaiman later sold the rights to the character to Marvel Comics; she was integrated into the Marvel Universe in the 2013 story “Age of Ultron“, and her character was expanded upon in the 2014 storyline “Original Sin“, where she was established to be the lost sister of Thor. Jango Fett Premium Format Coming Soon! Angela Premium Format Officially Announced!